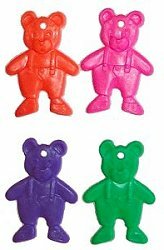 3" x 3" Bears, more choices for your MYOT collection! What fun! Size: One Size3" x 3"